The 10 Best Luxury Car Dealerships in Florida! The car you drive says a lot about your personality—what do you want yours to reflect? If you’re in Florida, you’ll be glad to know there’s an abundance of luxury cars that will make just about any statement you can imagine. Ride off the lot in style after a visit to one of these 10 best luxury car dealerships in Florida. With two locations in Florida, buyers in the market for the best in class know they’ll never have to go anywhere else. Commonly found on their lot are top brands like Lamborghini, Bentley, Maserati, and Lexus, among others. 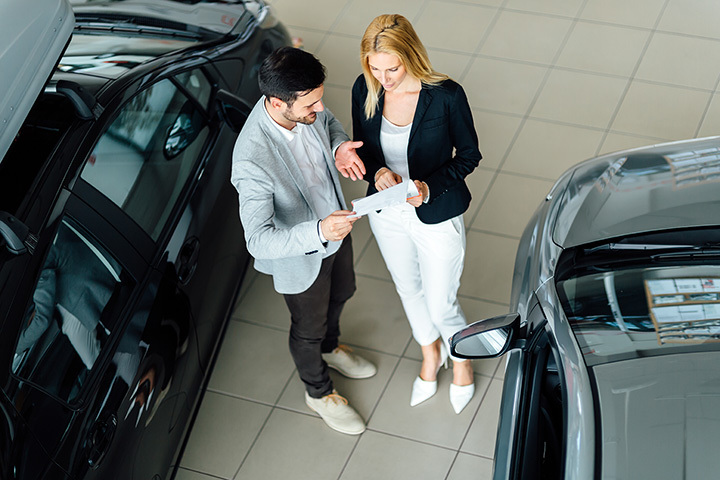 What sets them apart from other luxury dealerships is their confidence—they offer a seven-day dealer buyback to make sure you’re going to love your new ride! Luxury car fans know driving is more than getting from one place to another—the emotion behind the wheel is just as important. At Driving Emotions, you can find all the best-in-class luxury brands like Lamborghini, Ferrari, and Porsche that offer the total luxury experience. If this is your first luxury car, you’ll never drive a car the same way again once you get in the driver’s seat. Luxury cars don’t have to come with a price tag to match, and Brickell proves it. They’re well known for their large inventory of brands like Mercedes-Benz, Land Rover, Maserati, and others. They also accept luxury vehicle trade-ins to give you more value for your money. For the most thrilling ride that spares no expense, Florida folks know to go to Exotic Sports Cars. Their huge selection of imports gives you the best features and amenities in automobiles, and can help you get to your next destination quickly and stylishly. Brands include Ferrari, Lamborghini, and Aston Martin, among others. Whether you prefer shiny new or previously owned, you can take your pick at Naples Luxury Imports. Their lineup includes models from Rolls-Royce, Aston Martin, and Jaguar, among other luxury names. They’re also your one-stop shop for care and maintenance that will keep your ride looking and riding like new. Rise and Shine with #NaplesLuxuryImports ☀️🍳☕️ Successful #CarsAndCoffee this morning showcasing our #LimitedEdition 2015 Bentley Continental GT3-R as well as the extremely exclusive 2016 Bentley Continental GT Speed Breitling Jet Team Series Limited Edition. #ThankYou to all who visited this morning! Anyone can sell a car, but Chariots of Palm Beach ensure you get an experience. From “just looking” to driving off the lot in your new-to-you ride, fans love the easy buying process, friendly service, and highest quality luxury cars at amazing prices. And, if you crave the luxury experience without the ownership responsibilities, they also offer luxury rentals. Florida’s Gulf Coast knows there’s no better place to get a quality used luxury car than Luxury Auto Mall. They’re known for hosting brands like Audi, BMW, Acura, and Cadillac, all at lower-than-luxury price tags. Brands like Lexus, Mercedes-Benz, and Infiniti frequently surface at this premium used car dealership. Their fans love getting quality luxury cars at well below MSRP to fit their budget. You can get pre-approved for a car loan on their website to save more time during your shopping trip. As one of the country’s leading Lamborghini dealers, there’s no shortage of luxury at Prestige Imports. Their new car lineup also includes Lotus and Pagani, plus they feature high-end pre-owned vehicles from luxury brands like Rolls-Royce, Ferrari, and Bentley. They can also handle all your service needs so you’ll never have to trust your vehicle to anyone else. Though not exclusively dedicated to luxury cars, Michael’s Autos always features a good selection of high-end vehicles at less-than-retail prices. Infiniti, BMW, and Mercedes-Benz are known to make frequent appearances here, along with top notch service and knowledge that beats standard used car dealerships hands down.